CEDAR CITY — Iron County K-9 officers now have a commemorative plaque in their honor, thanks to the efforts of Cedar City Boy Scout Jason Guy. 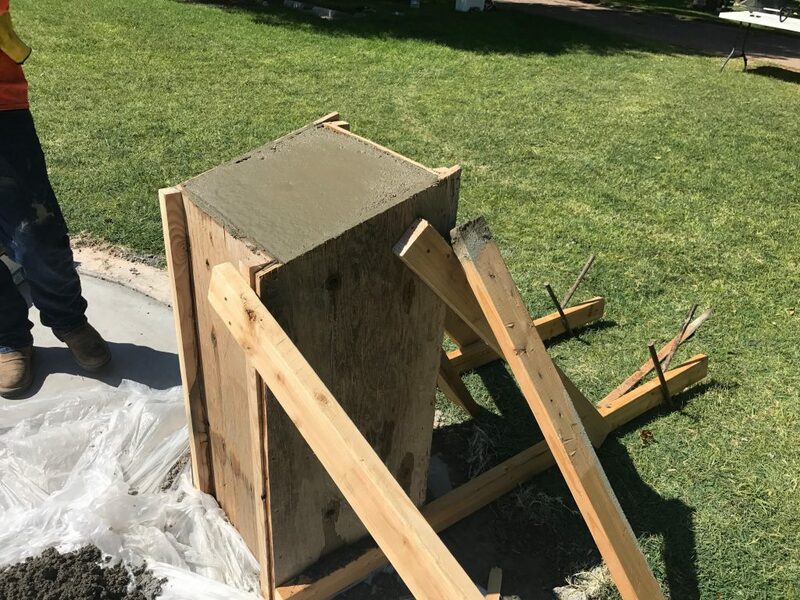 The bronze plaque, installed on a newly erected stone pedestal in Cedar City Cemetery earlier this week, has a picture of a police dog and bears the names of 13 K-9 officers that have served in Iron County over the past two decades. 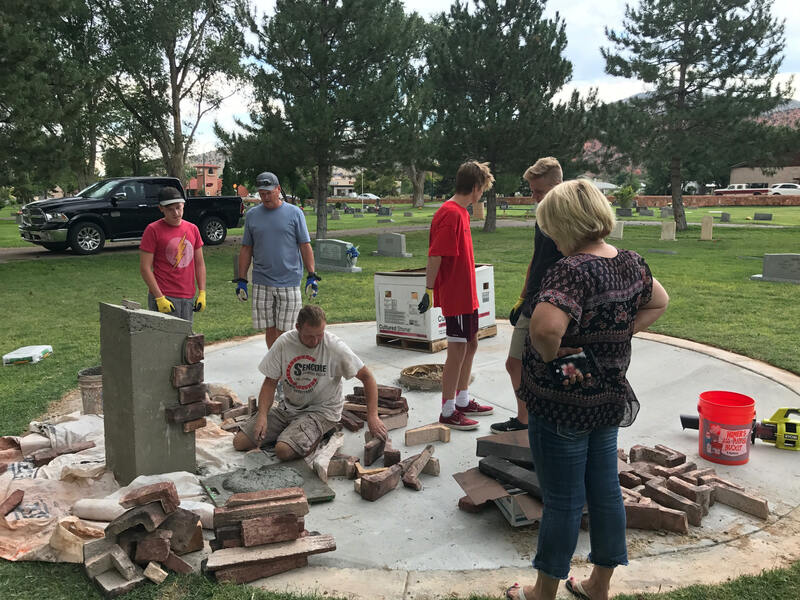 Guy, a 17-year-old member of Boy Scout Troop 1874, spearheaded the project as part of his requirements for his Eagle Scout badge. Guy said his affinity for police K-9s began at an early age, when officers would bring the dogs to the elementary schools for demonstrations. “I just think that people don’t appreciate the work they do sometimes,” he told reporters during a news conference at the cemetery Friday, when the new monument was officially unveiled to the public. 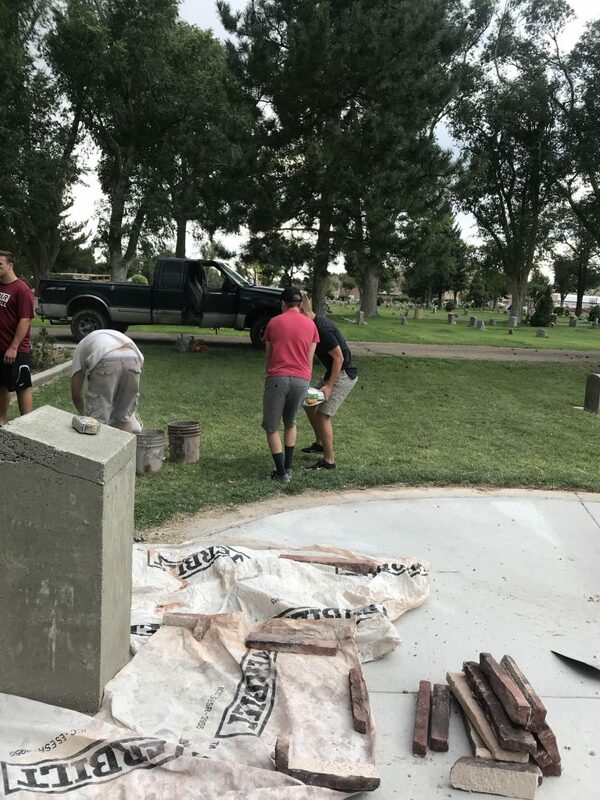 After soliciting donations from individuals and businesses in the Friends of Iron County Police K9s nonprofit group, Guy also worked with officials from Cedar City Cemetery and local law enforcement agencies to plan, design and build the monument. 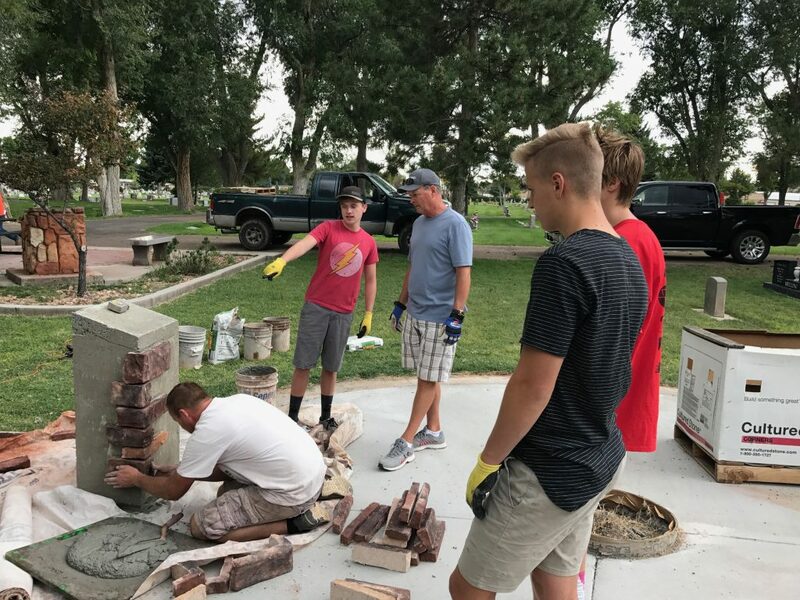 He enlisted the help of several friends, neighbors and family members to assist in carrying out the project. 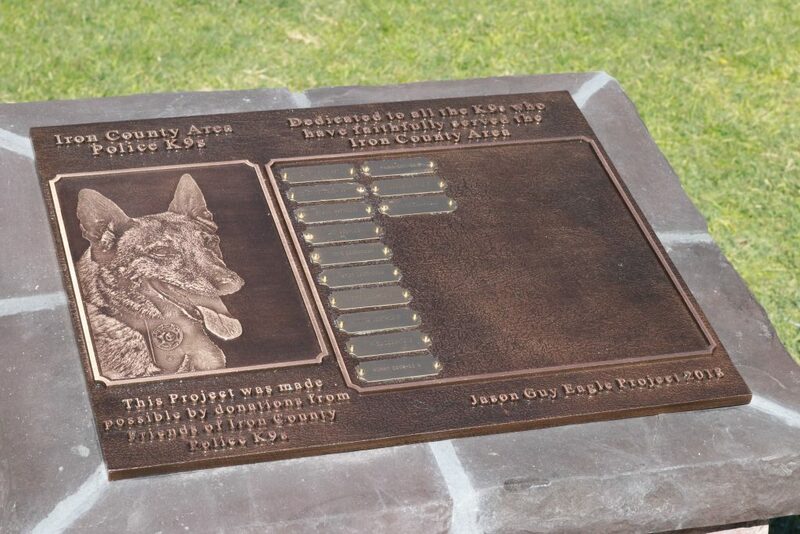 Iron County Sheriff’s Lt. Del Schlosser, whose former K-9 partner Castor, a Belgian Malinois, is the dog whose image is depicted on the plaque, said he helped Guy compile the list of names of Iron County K-9 officers, along with the dates the animals served. In addition to the Sheriff’s Office, K-9 officers that served within Iron County with Cedar City Police Department and Utah Highway Patrol are also represented. 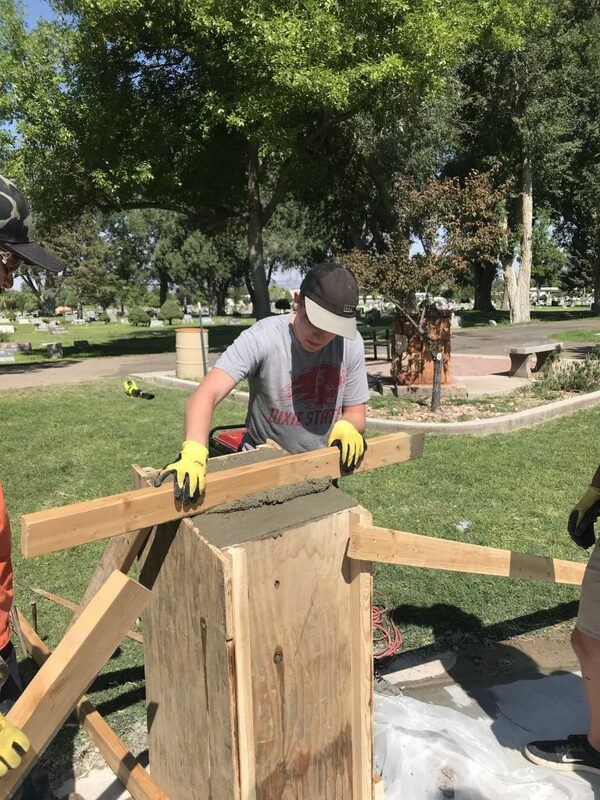 After more than a year of planning, the project began to physically take shape when a circular concrete pad was poured. The K-9 monument is located on the west side of the circle, with two other similar monuments to honor law enforcement officers and firefighters being planned for the south and east sides, along with a flagpole in the middle. 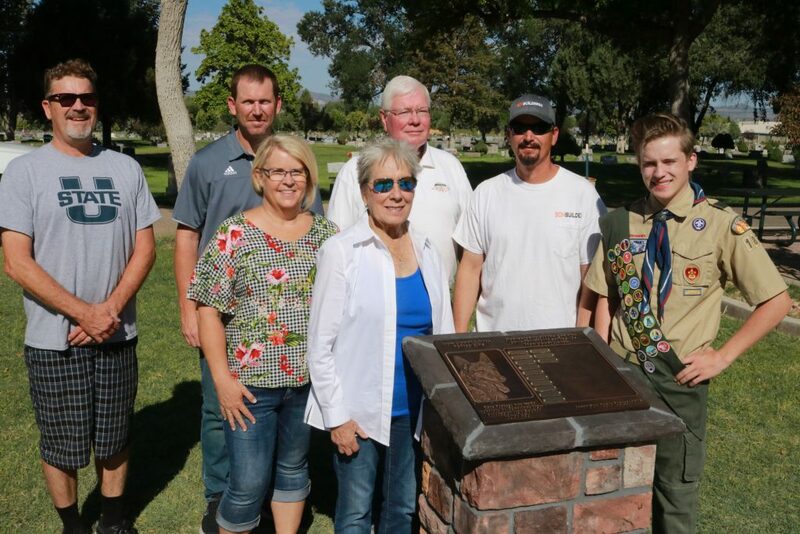 Those additional projects will be undertaken by other prospective Eagle Scouts in the future, Guy said. 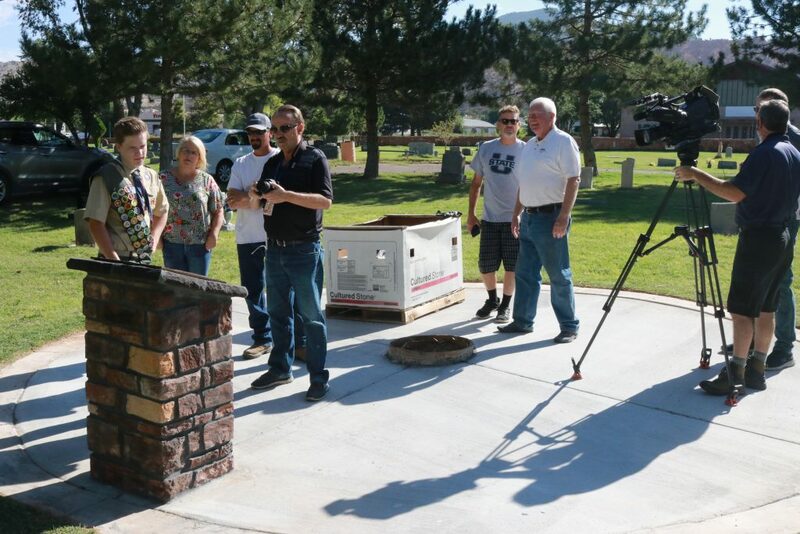 Local Cedar City businesses contributed materials for the project, either by donation or providing them at cost. 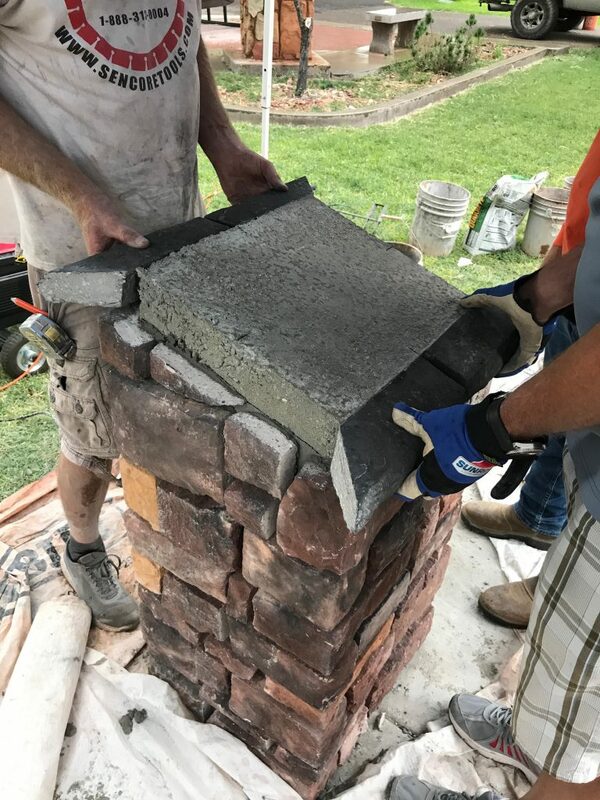 Son Builders donated the decorative stone used in the project, along with the concrete, mortar, tools and equipment; Etch N Carved made the bronze plaque; and Castro Jewelers engraved the nameplates. 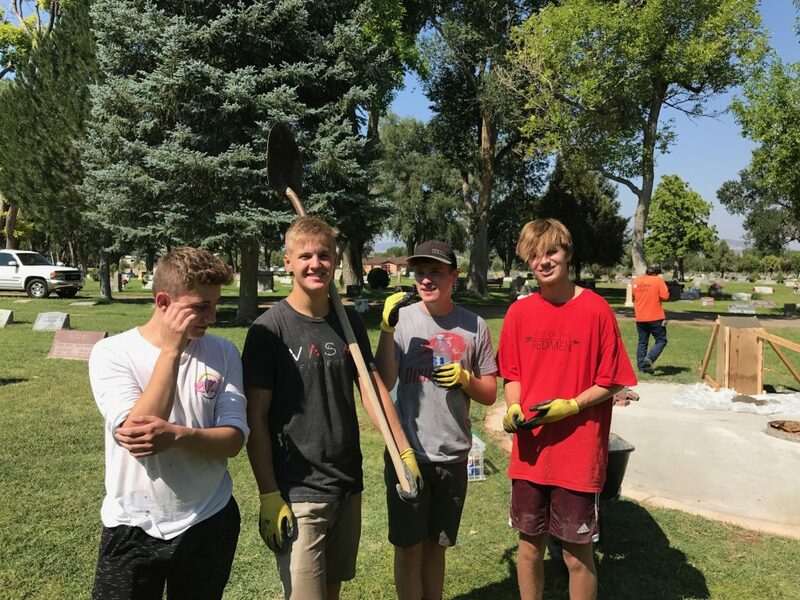 Guy, a 2018 graduate of Cedar High School, said he will head up to Logan next week to begin his studies at Utah State University. 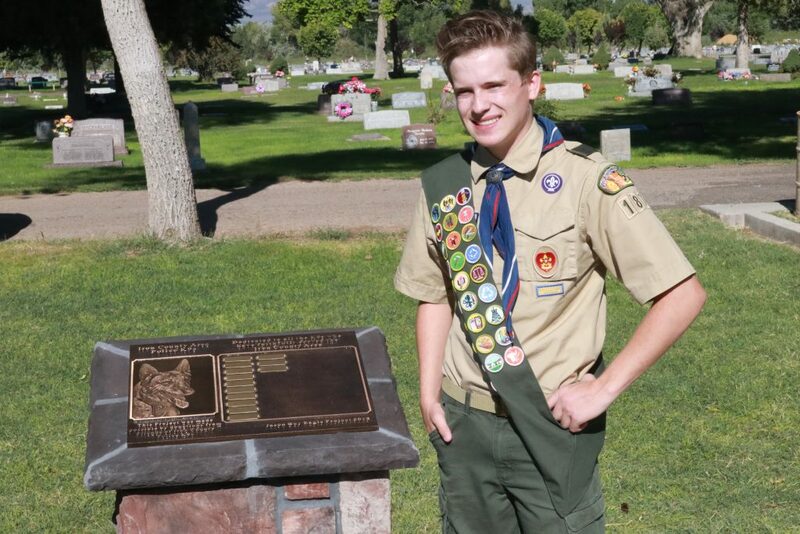 The son of Debbie and Peter Guy, Jason Guy has been active in Boy Scouts for the past several years, earning 29 merit badges. His Scout leader is Darin Day. 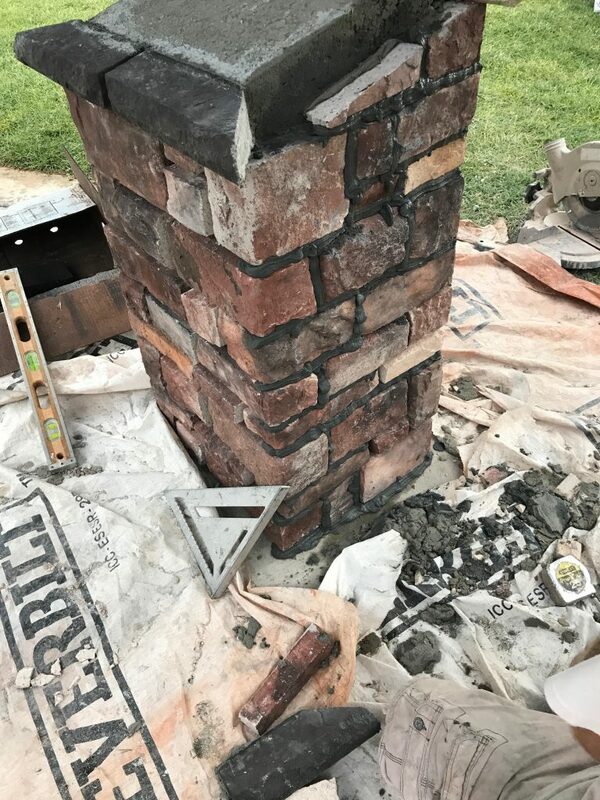 Guy said the project was the final requirement he needed to fulfill to attain the rank of Eagle Scout. After a formal board of review is conducted, he said he hopes to receive the award at a court of honor sometime within the next few months. Good going kid ! Now if we only had a dog park somewhere.